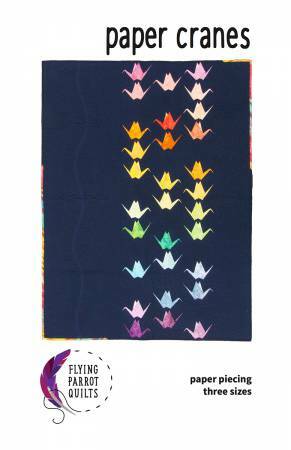 In Japanese tradition, folding 1000 paper cranes brings good luck, and strings of the paper birds are often giving as a wedding gift or to welcome a new baby. 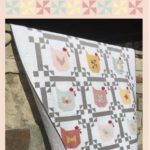 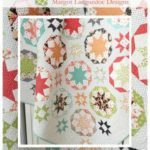 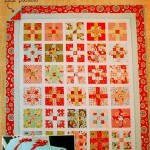 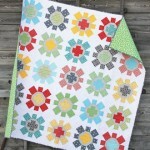 Wish a lucky recipient all the best with this foundation paper pieced quilt in three different sizes (baby, lap, and queen). 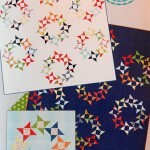 Knowledge of basic paper piecing techniques is assumed. 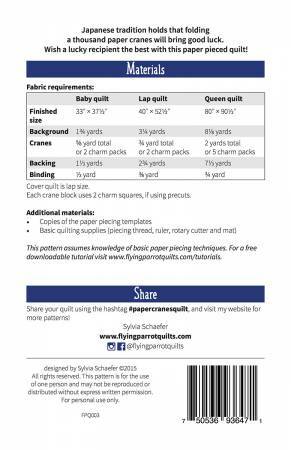 Full colour pattern booklet, foundation templates for left- and right-facing cranes, and instructions on how to apply a two-colour binding are included.